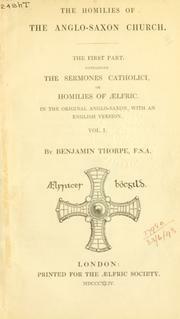 3 editions of The sermones catholici, or homilies of Aelfric found in the catalog. Add another edition? Are you sure you want to remove Sermones catholici, or, Homilies of Aelfric from your list? Published 1844 by Printed for the Aelfric society in London . The Old English original text and Modern English translation are on facing pages (left and right respectively). Some of the original is in Latin: some prefatory material, and the titles of the chapters. These are also translated. 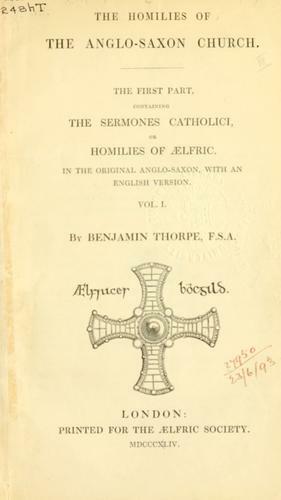 The homilies of the Anglo-Saxon church.